The Leaky Gut Syndrome states that the gut is a garden hose with holes in it. Food components and bacteria enter the body through these holes. There they give rise to infections and illnesses. This is not true. The intestine is a highly complex organ that by its very nature has “holes” in it. But no food components or bacteria pass through these holes. We continually hear about “Leaky Gut Syndrome” in connection with Histamine Intolerance and IgG4 food intolerance tests. The idea behind it: the gut loses its barrier function through a variety of influences such as parasites, infections, stress, sugar, gluten (for instance Gliadin, a type of protein in wheat) or medication. 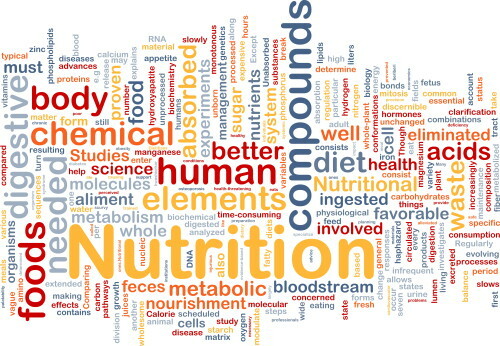 Harmful substances such as microbes, poisons or food components thus penetrate the body. The immune system then triggers a variety of illnesses and symptoms. Among these are claimed to be allergies, obesity, cancer, diabetes, under-active thyroid, over-active thyroid, joint pain, autism, chronic fatigue or, also, food intolerances. At first glance this might all sound credible, even if a bit far-fetched. But caution is necessary whenever one single cause is credited with provoking so many different illnesses. And it’s a fact that “Leaky Gut Syndrome” in this form is an invention of enterprising business people. Most of those who propagate this illness are offering diagnostic procedures, books, products, DVDs and natural treatments. The problem with Leaky Gut is the following: a variety of medically correct facts and physiological processes that are not yet understood have been used to construct new theories. Those promoting it like to “prove” these theories by quoting scientific research, but if you examine these claims carefully you will find that they either prove something entirely different or have nothing at all to do with the subject. There are no independent studies into the theory of “Leaky Gut Syndrome”. There are a few studies by researchers who have a financial interest (such as selling remedies) and which, on closer examination, contain no empirical data but consist mostly of case studies. However, it only takes a few cases of ‘cures’ circulating on the Internet to result in this theory gaining credibility for many patients – and these unscrupulous people are in business. But in order to understand why the Leaky Gut theory does not stand up we first have to define what the above-mentioned intestinal barrier actually is. You often read that it is a layer of cells which are held together by a protein called Zonulin and is covered with a mucous membrane together with its microbes. If this layer of cells is damaged then holes would arise in it, which could enable food components and bacteria to invade the body. The intestinal wall is a very complex mixture of cellular structures, a very special “water layer”, many proteins, muscles and epithelial tissue. The intestinal barrier works in several ways – from being a mechanical barrier all the way to the formation of peptides and other substances. These substances function as antibacterial, for digestion or as part of the immune system (such as IgA). The cellular structures are not static but are extremely variable and in a constant state of flux. You have to understand the intestinal barrier as a very mobile barrier which has to deal with a myriad of different substances and stimulants. And, yes, the intestine is permeable. It has to be, otherwise it could not fulfil its task of absorbing nutrition. This permeability of the intestine is highly dependent on location. In other words: the small intestine (in which there are fewer bacteria) is more permeable than the large intestine (in which there are many bacteria). The bacteria (and also fungi such as Candida albicans) interact with a layer in the intestinal wall which itself consists of two layers: a thinner one on the inside and thicker on the outside. The bacteria are more present in the outer layer; only a few are found in the inner layer. Also within the intestine is a lymph system which recognises “its” bacteria and fights foreign bacteria. Not as permeable as we thought. Substances in the intestine can be transported either between the cells or through the cells (see description of GLUT-5). Both are highly complex procedures. A myriad of proteins and an extremely complex interaction between these proteins and other substances are responsible for the cellular cohesion of the epithelial cells and its pores. Although Zonulin plays a role here, there are dozens of other proteins with the same regulatory working. The epithelial cells can indeed generate pores and thus channel substances between the cells. But even if they generate the biggest possible holes, these are still much too small to allow food components or bacteria to seep through. This all goes to show that the intestinal barrier is a highly complex system. The usual explanation of the Leaky Gut Syndrome has nothing to do with the reality of our intestines because it is vastly over-simplified and in part based on false claims. Our knowledge of intestinal microbes and the way they interact with the body is, we have to admit, currently relatively limited. In years to come there will certainly be many interesting research results. What is certain, however, is that the enormous quantities of bacteria and the thousands of types of bacteria have a huge influence on our digestive system and our health. We know that, in ideal circumstances, all the various factors are in balance. Many factors can result in a disturbance of the natural balance and impede the work of the intestinal barrier. This could be either surgery on the intestine, or an acute infection of the pancreas or some other serious medical trauma or illness such as Morbus Crohn or Coeliac disease. Gliadin, a component of gluten, also appears to influence Zonulin, for instance. The Zonulin mechanism, only recently acknowledged, will certainly bring many interesting new findings in the years to come. According to the present state of knowledge, however, these substances cannot succeed in damaging the intestine to the extent that this leads to noticeable symptoms, let alone to any of the illnesses mentioned at the beginning of this article. It is possible that long-term bad eating habits could contribute to tipping this system out of balance. It is also feasible that if an intestine has been damaged by an intolerance, this additionally weakens the barrier and impedes its function. It is highly probable that there is a connection between the so-called irritable bowel syndrome and a damaged intestinal barrier. It is assumed that the small intestine’s mucous membrane is thinner in patients with irritable bowel syndrome than it is in healthy human beings and also that the connection between the small intestine’s cells and their functions is limited. This leads to inflammation, symptoms and malfunctions. In the case of irritable bowel syndrome we are thus really talking about a “leaky gut” – whereby professionals prefer the term “increased intestinal permeability”, because “leaky gut” implies that there would be holes in the intestine, as in the leaking garden hose. This illustration is definitely misleading. These factors can be influenced by nutrition. But these factors cannot, or cannot sufficiently, be disrupted by nutrition to the extent that it provokes illnesses such as autism, cancer or intolerances. In the case of irritable bowel syndrome and chronic inflammatory intestinal illnesses such as Morbus Crohn or Coeliac disease, there are real problems with the intestinal barrier or with a component of the intestinal barrier; the Zonulin mechanism appears to play a role here. Increased intestinal permeability is not necessarily a problem. The “holes” between the epithelial cells (which are entirely normal) are too small, even in the worst case, to allow larger molecules, let alone food components or bacteria, to penetrate. Comparison to a leaky garden hose is wrong and misleading. Does the Leaky Gut Syndrome exist or not? It is – to put it mildly – extremely reckless to define the “Leaky Gut Syndrome” as a separate syndrome that, for instance, is provoked by our modern eating patterns, is responsible for a number of civilisation diseases and can be diagnosed by means of simple blood tests. There is currently not a shred of medical evidence to support this. The theory system supporting Leaky Gut Syndrome is built on a very shaky foundation and often contradicts current proven knowledge of the gut and the way it functions. There is major financial interest in the sale of “remedies” and diagnostic procedures for Leaky Gut Syndrome. This should alert every patient to the necessity of a critical approach. That the gut is important for our wellbeing is beyond question. But patients with digestive problems should get themselves a sound diagnosis before they self-diagnose a syndrome that just doesn’t exist in this form. Bischoff SC, Barbara G, Buurman W, et al. Intestinal permeability: a new target for disease prevention and therapy. BMCGastroenterol 2014; 14:189. Boirivant M, Amendola A, Butera A, et al. A transient breach in the epithelial barrier leads to regulatory T-cell generation and resistance to experimental colitis. Gastroenterology 2008; 135:1612–1623. Johnson, K. (2013). Leaky Gut Syndrome. In F. R. Volkmar (Ed. ), Encyclopedia of Autism Spectrum Disorders (pp. 1706–1712). Springer. Michielan, A., & Incà, R. D. (2015). Intestinal Permeability in Inflammatory Bowel Disease : Pathogenesis , Clinical Evaluation , and Therapy of Leaky Gut, 2015.